That’s when I discovered that two of the pattern pieces were missing. AAAyyyiiiii! Curse you, lazy 50s housewife, who made this skirt and then neglected to put back all of the pieces! So what if you had four kids and were probably in the midst of a pre-feminist Betty Draper psychotic episode, it’s Charles James for pity sake! So after that little meltdown, I realized that it wouldn’t be too hard to re-create the pattern pieces for the back of the waistband and lining for the pleats. 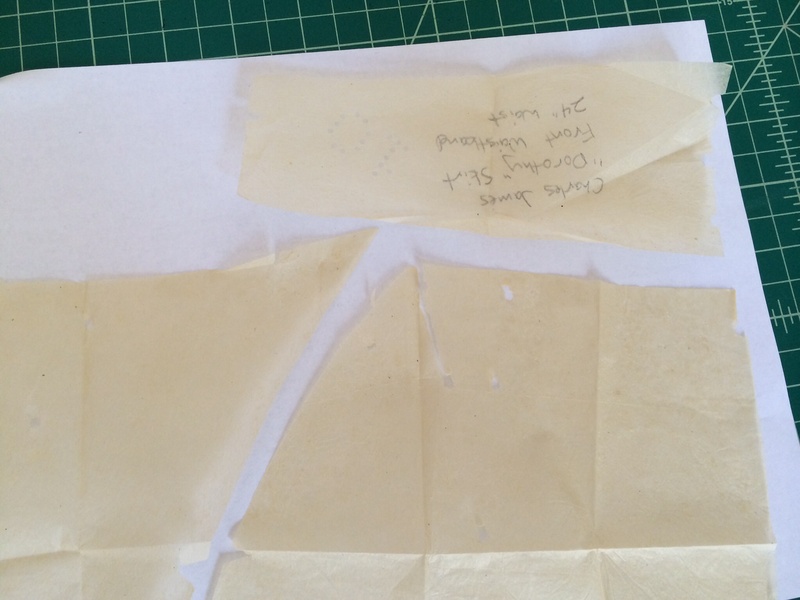 I traced the pattern onto craft paper and put the original away to preserve it. 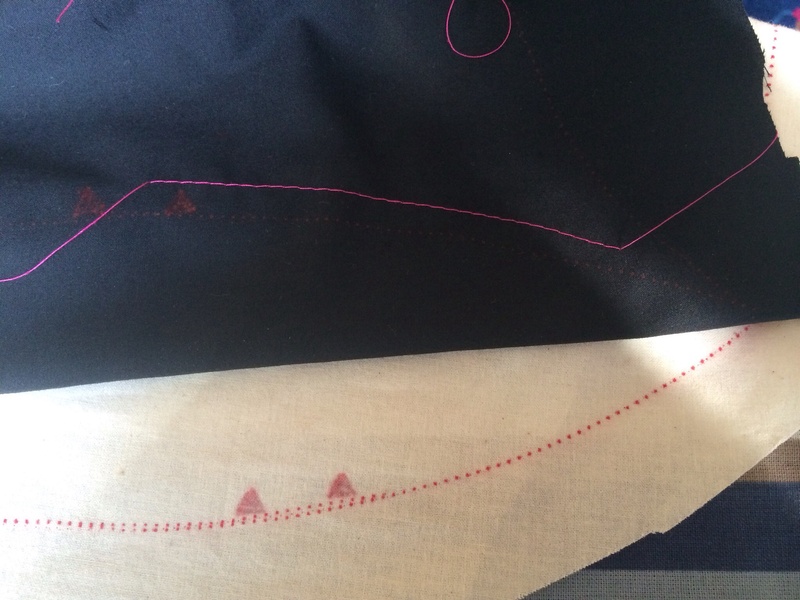 Then I compared the pattern to my recently completed fitting shell pattern. 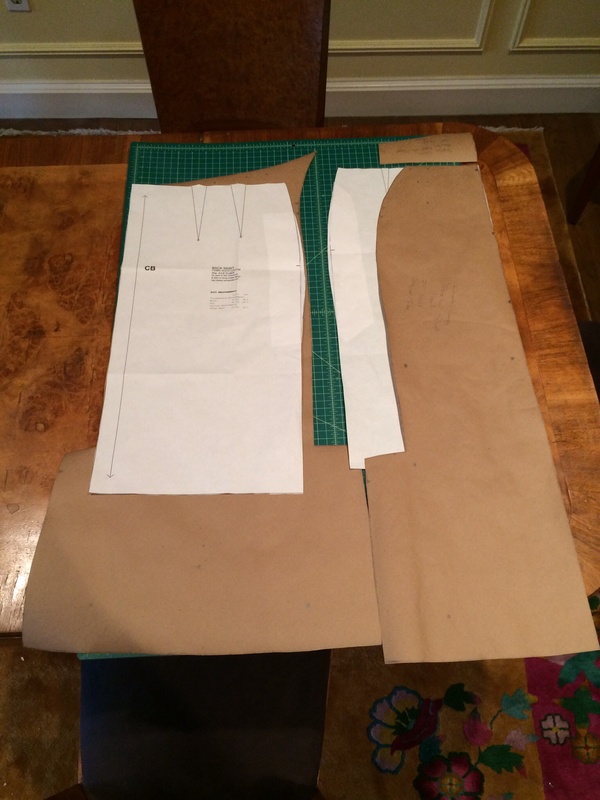 Since the Charles James pattern was cut for a 24″ waist, I knew I would have to size it up considerably to fit me. The brown is the Charles James skirt pattern and the white is my fitting shell pattern. At this point, I could tell that the front piece (on the right) was far smaller than my fitting shell, while the back piece (left) was close to the same size. So the skirt was designed for the back piece to wrap around the side to meet the front piece in the front. Also, there’s a complex triangular part at the top that extends even further toward the front. I decided that trying to size up the pattern in the flat pattern state was foolish, and that I should just make the thing up as is, then see what I could do to make it bigger. I cut the muslin pieces for the test version of the pattern out of two different color fabrics, to better show you the design of the skirt in photos (and I’d like to thank you readers for inspiring me to move forward on the boring parts of projects like this). This is why it’s worth doing a muslin. 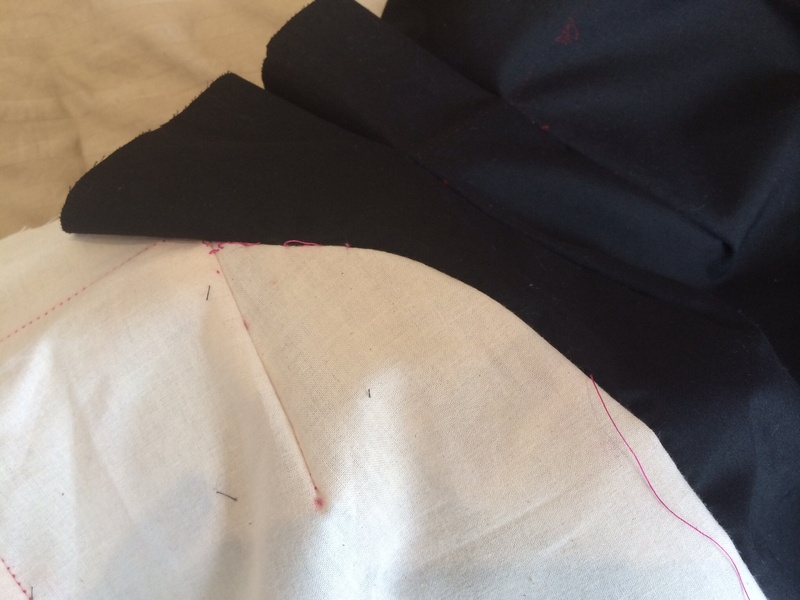 You’re looking at the top of the skirt’s side seam, where ordinarily on a pencil skirt the two seams would match, and you would just sew them together on a curve. 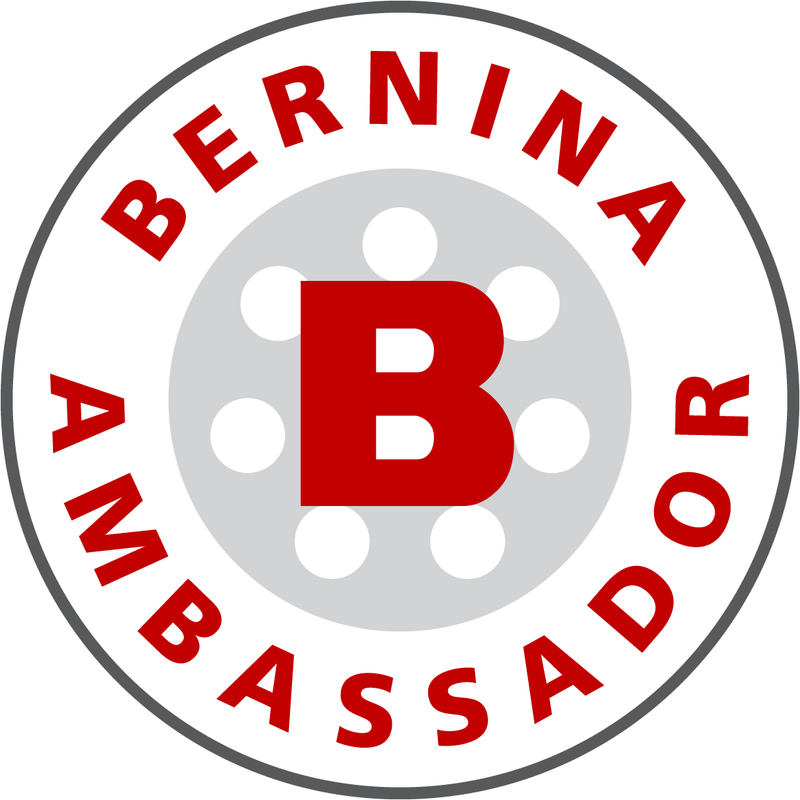 But on this pattern, the triangular part on the back (in black) wraps forward to meet the front (in white), and the pieces curve away from each other in the opposite direction. When I started to pin them, it reminded me of setting in a sleeve, so I added some basting and gathered the back piece to curve it around. You can see I had to ease the back piece around to meet the hip curve of the front piece. It’s not just curved, it’s molded. 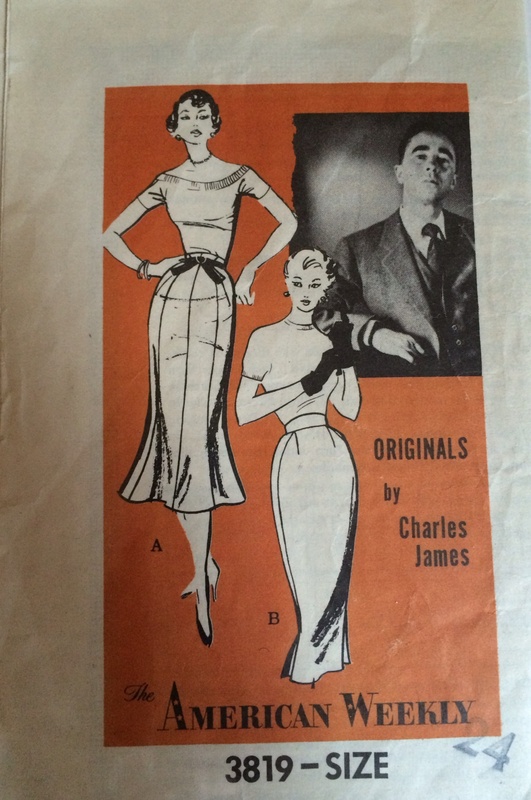 And that’s what made Charles James such a great designer, even with something as simple as a pencil skirt. 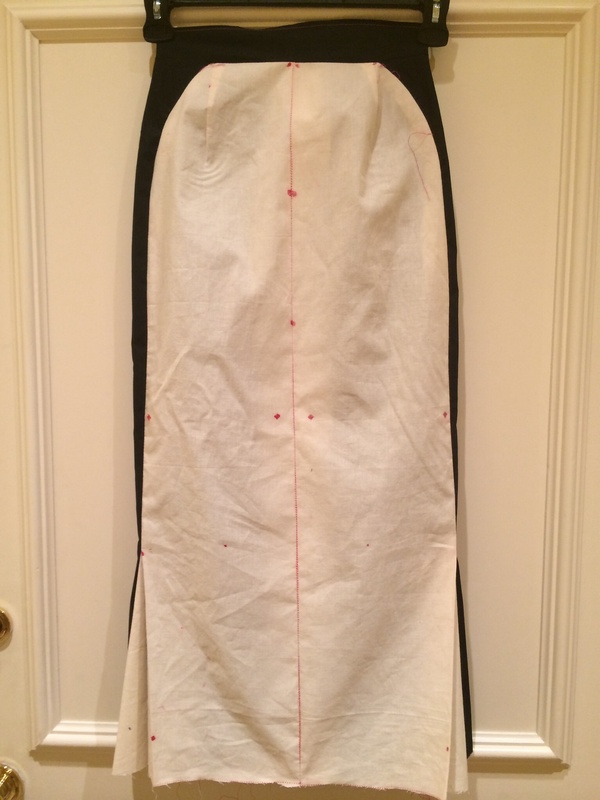 The seam between the front and back of the waistband meets at the actual side of the waist, over a dart, rather than where the front and the back pieces meet. 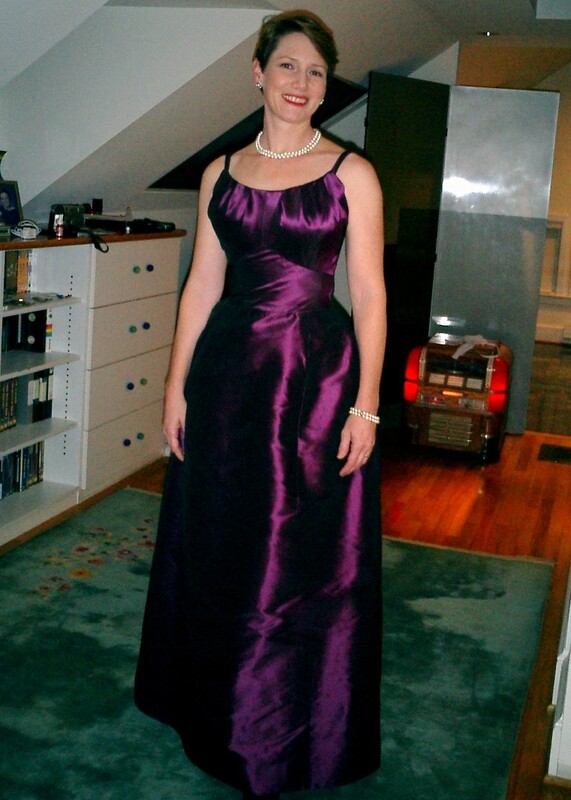 The waist on the skirt is a petite 25″, and the hips max out at 37″. The whole thing’s so tiny it won’t fit on my dress form. 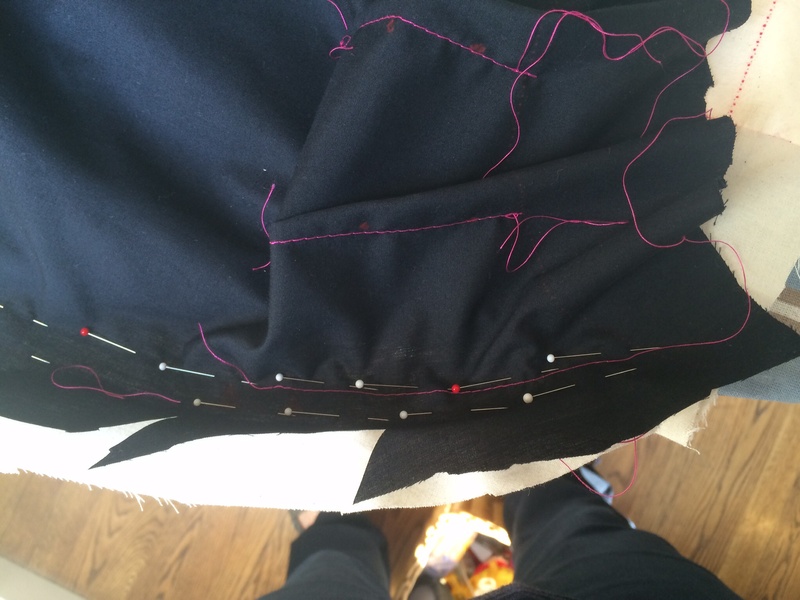 But the length of the skirt, after hemming, is 32″, and on my 5’6″ long-legged frame, comes just 4″ above my ankle. That’s why I think this original is fitted for Amazon Barbie. Clearly I’m not going to need to make it any longer, so I’m just going to attempt a massive “slash and spread” revision in the middle to get the skirt to fit me. There’s no way I’m touching the engineering on the sides. 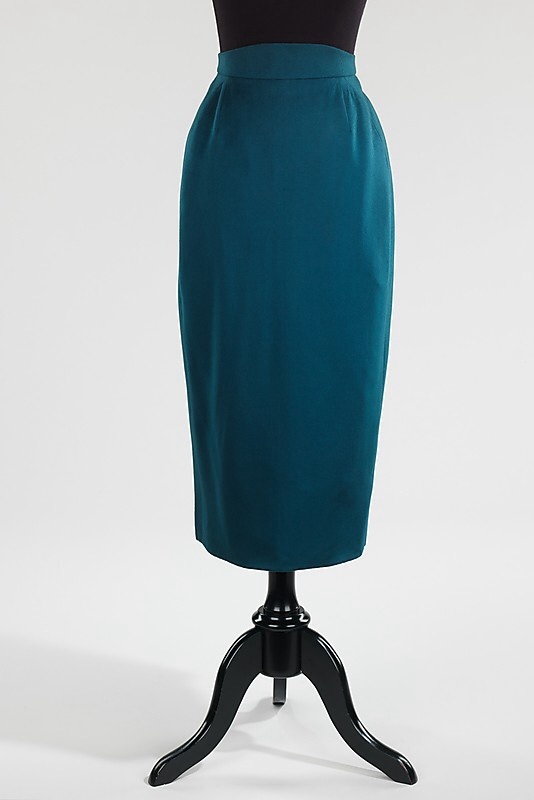 And I hope that Charles James, somewhere in the great beyond, will forgive me for messing with his elegant design. But I can’t imagine that he would.